Cleveland Indians (71-52) at Boston Red Sox (88-37) MLB Baseball: Monday night Fenway Park 7:10 p.m. 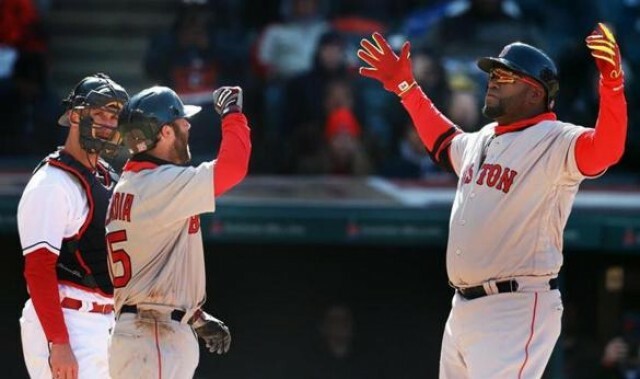 This week’s MLB betting action gets underway with a huge showdown in the American League between the Cleveland Indians and the Boston Red Sox. Game time on Monday night is set for 7:10 p.m. in the first of this week’s extended four-game series at Fenway Park. Cleveland comes into this series with a 9-2 record in its last 11 games that includes a three-game sweep over Cincinnati on the road last week followed by a 2-1 series win against Baltimore at home over the weekend. The Indians are now 71-52 overall with a 32-28 record on the road. Their lead over Minnesota in the AL Central stands at 12 games and the total on BetAnySports’ closing line has stayed UNDER in their last four games. Corey Kluber will get this series underway as Cleveland’s starter in Game 1. He is coming off a win against the Reds last Tuesday after allowing just one earned run on five hits in seven innings on the mound. The right hander is 15-6 on the year with a 2.68 ERA and a 0.92 WHIP. The Indians have won their last four outings with Kluber as their starter. Boston continues to role towards one of the best regular season records in recent memory. With a 2-1 series win against Tampa Bay at home over the weekend, the Red Sox have gone 13-3 in the month of August to improve to 88-37 on the year. They hold a 9.5-game lead over the New York Yankees in the AL East Division title race. Boston is 44-16 at Fenway Park this season and the total has stayed UNDER or ended as a PUSH on BetAnySports’ closing line in six of its last eight games overall. The Red Sox will counter with Rick Porcello as their starter for Monday night. Last Tuesday, he held Philadelphia to one earned run on a home run to pick up the win in seven innings of work. The right hander moved to 15-5 overall and 6-2 in his last eight starts. His current ERA stands at 4.04 with a 1.15 WHIP. This series opener is just too close to call given the recent success of each team’s starter. The ‘best bet’ pick in this one is the UNDER on BetAnySports’ 8.5-run total.